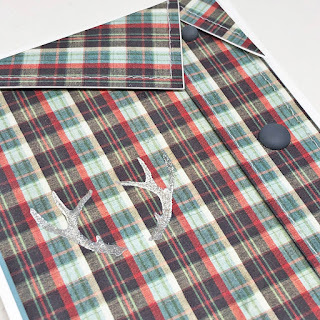 Since I've made a few girlie dress cards for the ladies I thought it only right that the gentlemen have their turn, so with my scor pal and sewing machine I came up with a very CAS classic plaid shirt. Originally I thought that I might try to dress it up with a pocket or a bow tie, but my guys voted for the "less is more" version, so here it is. 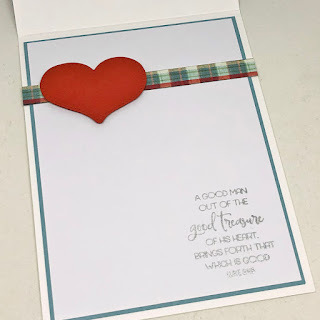 Stamp Simply's set, A Godly Man, is the perfect set for a card like this! 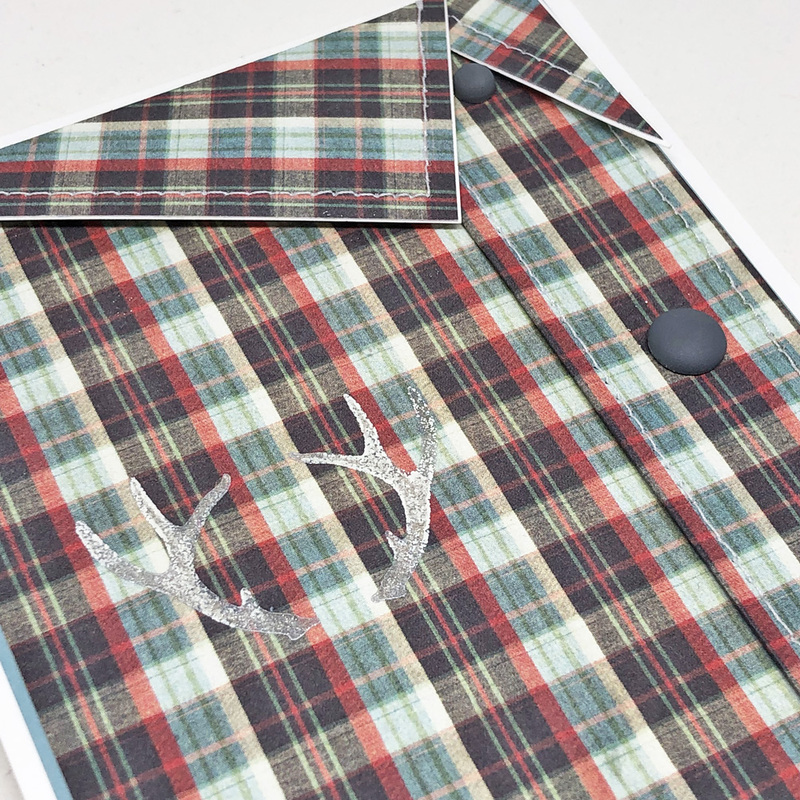 The antlers, stamped and embossed in silver, mimic the brand logo so often seen on men's shirts, with wood dots for buttons. 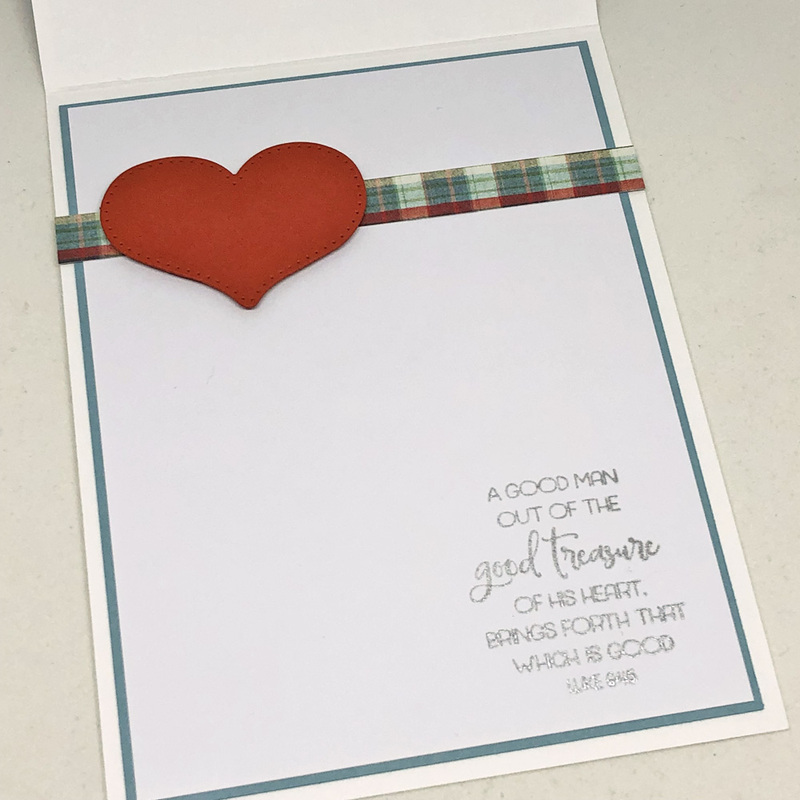 Inside, a quote from scripture that would work for Valentine's Day or any day. tHIS IS PERFECT! I NEEDED AN IDEA FOR THE MEN IN MY LIFE. wILL GIVE IT A TRY. What a great card! Love it! Happy New Year and I look forward to your 2019 makes!